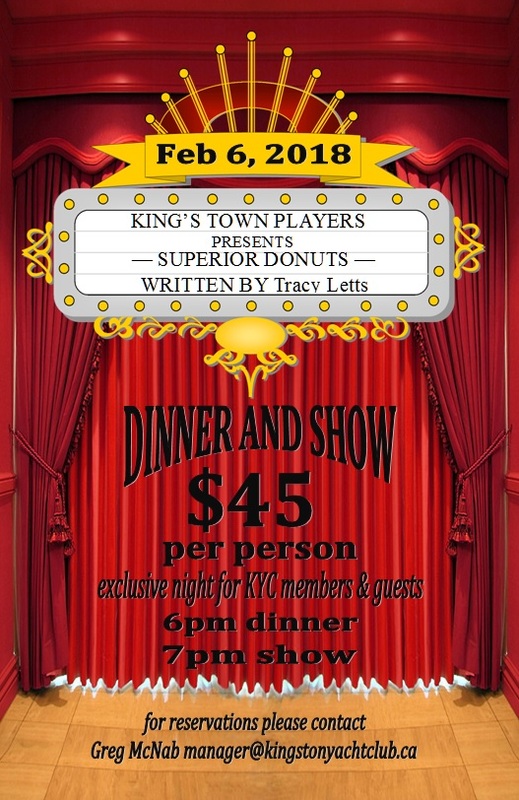 Join us for the King's Town Players February 6th! The premise is that everyone who has travelled any distance on a boat will have secret recipes to success, and we thought it would be nice to invite everyone to share their 1-3 absolute must haves on a boat. This would open up the floor to everyone, the newbies and the salty dogs, the gung ho cruisers and the less so. We open it up to anything and everything that makes a good cruise; engine must-haves, favourite recipes or life-saving foods, best games to have, essential books, must have gear, awesome on board wines and the list goes on! 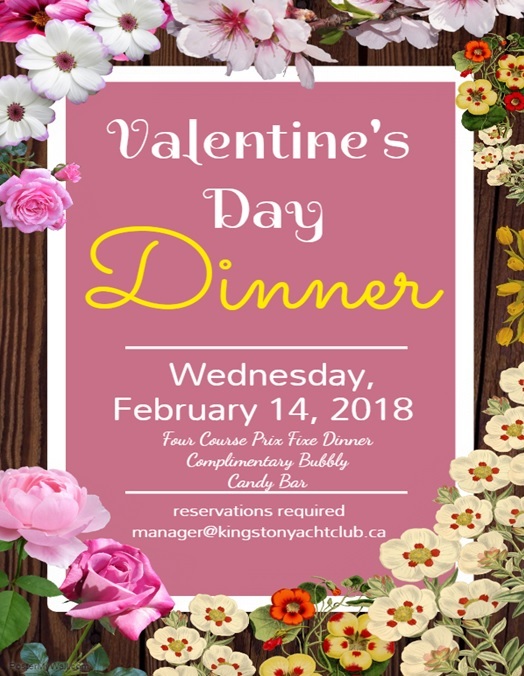 Please be advised the Robbie Burns Scotch Tasting is now SOLD OUT. 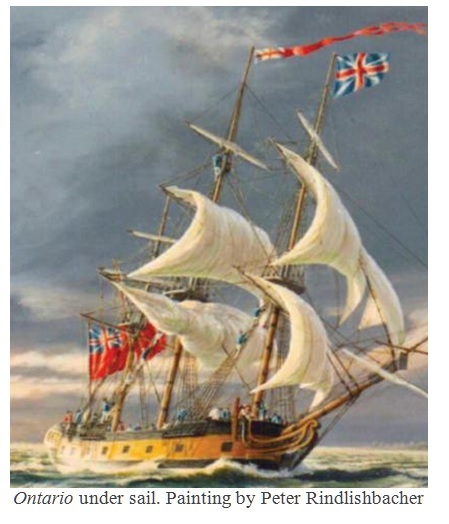 March: 21: Maurice Smith - Local historian will talk about the enormous significance of D.D. Calvin and Garden Island to Kingston. Please note the Kitchen and Bar are now open regular Winter Hours. Please see our website www.kingstonyachtclub.com for details on hours of operations.